Laura has been a Montessori Assistant since 2003. She earned her Montessori Assistant Credential from the Montessori Training Center of MN. She attended Rochester Community and Technical College where she had training in Child Development and earned an endorsement in TMA/NA. She also worked as a special education paraprofessional for 2 years. Diane began with RMS in Feburary of 2010. However, Diane has been a child educator since 1979. She received a Bachelor of Arts degree in Elementary Education with a specialization in Learning Disabilities/Social and Emotional Disorders from Northeastern Illinois University in Chicago, Illinois. 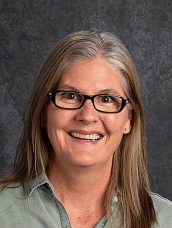 She has completed graduate work in Reading, Language Arts, and Guidance and currently maintains her teaching licenses in Illinois and Wisconsin. In addition to her position as a toddler guide, Sally also works each afternoon in the extended late pick-up services program for toddlers. She holds paraeducator and Montessori assistant certificates. Sally came to RMS in October, 2010. Sarah has been with Rochester Montessori School since 2005 serving both as an assistant and for two years, as a guide. Previous to her experience at RMS, Sarah conducted childcare programs out of her home. Greg, a native of Minnesota, has taught both middle and high school for over a decade. Greg holds two public school certifications, one in general science and one in earth and space science. In addition to a Bachelor of Science degree in geology, Greg is a certified Montessori middle school teacher. Greg has completed training sessions for the International Baccalaureate Middle Years Program in the areas of Design and Science. He is also a naturalist with the Minnesota Department of Natural Resources. Greg teaches middle school science, math, and design.